Stripes are one of the trendiest patterns for this season and they are versatile ways of how to wear them. The boldest one may be to wear one such dress and there are definitely many of them to choose from. Today we have picked several outfits with different striped dresses that you will for sure love to copy. This type of dresses can vary in the style, colors as well as the type of stripes. They can either be thick or thin, horizontal or vertical etc. You should make sure to adjust them according to your body. For instance, horizontal stripes can make your body look slimmer, while vertical ones can make you look fuller. And although black and white may be the most common color combo for stripes, you can find dresses with navy and white stripes as well some colorful ones. Scroll down now to see the outfits that we have chosen for you today and choose which one is your favorite. Enjoy! 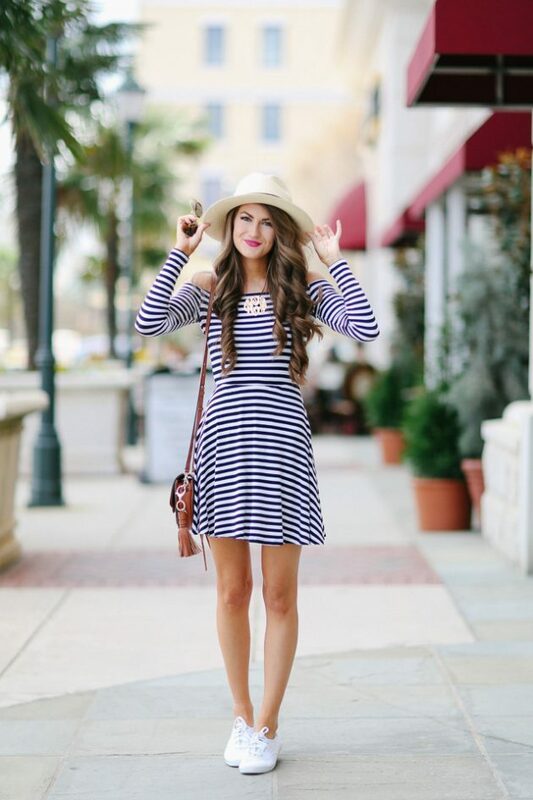 Striped dresses can look good on anyone. 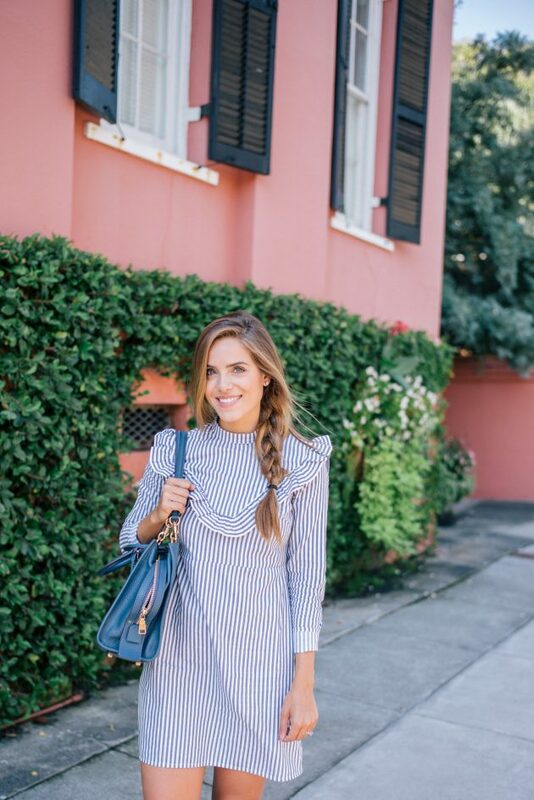 Depending on the type of dress and the occasion needed, you can wear a striped dress with sneakers for a casual day look, with some flats for the office, or maybe even dress it up with heels and fancy accessories for a night out. Some striped dresses can even have additional features, like embroidery pattern or maybe some ruffles which are also quite popular trends for this season. So, which one from the above outfits did you like the best? Tell us in the comments and make sure to get a striped dress for this season. And of course, stay up to date with the content of Fashionsy to keep up with the latest fashion and beauty trends.